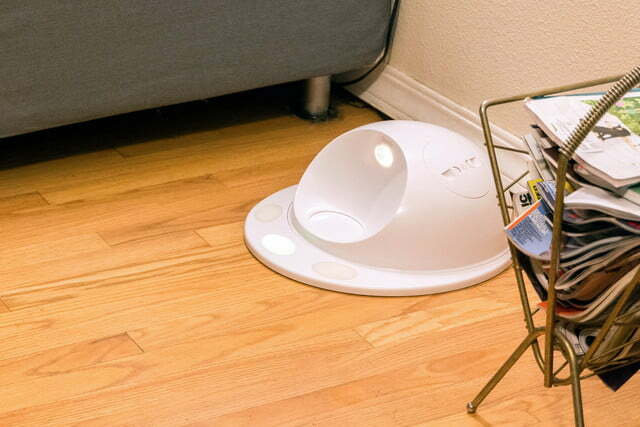 If your dog is home alone for hours at a time, CleverPet could provide an amusing, autonomous diversion. Dog owners know we are the center of our pets’ universe. Yet every day we must head off to work, school, or other activities, leaving them alone. Remote cameras will let you check in on your pup, and maybe allow you to tell him he’s a good boy via your smartphone, but that might not cut it for dogs with behavior problems or separation anxiety. 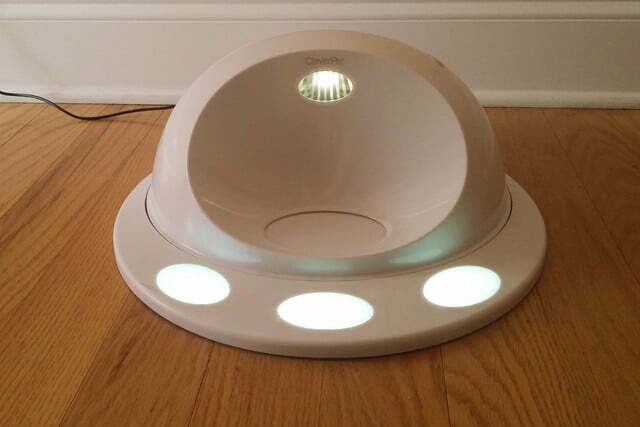 CleverPet offers a more engaging alternative for lonely dogs home alone with nothing to do. CleverPet uses positive reinforcement to engage and train your dog with an increasingly complex series of tasks involving touchpads, lights, and sounds. Successfully completing a task earns your dog a food reward. 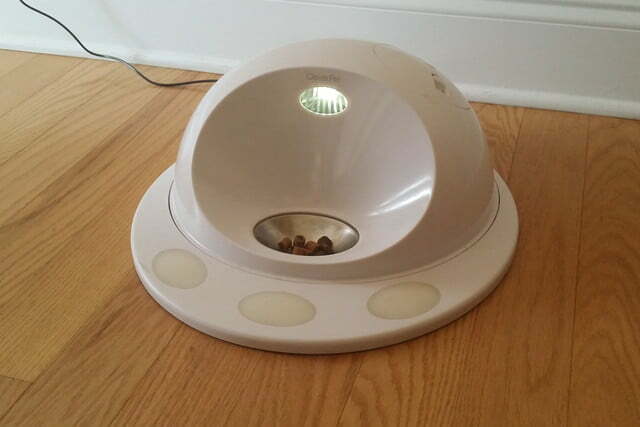 All you really have to do is keep the robotic dog trainer’s food compartment supplied with dry food or treats. Based on our experience, dogs don’t universally respond to CleverPet, but dogs that are lonely, generally inquisitive, and food-motivated are good candidates. 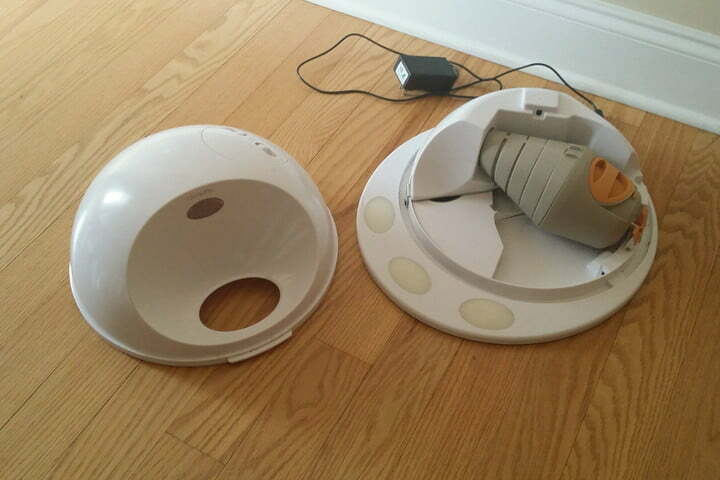 Picture R2D2’s dome-like top section and that’s pretty close to what the CleverPet looks like. It measures 16 inches deep by 15 inches wide by 7 inches high and weighs 11 pounds. There’s an extended lip in the front with three touch-sensitive lighted pads. 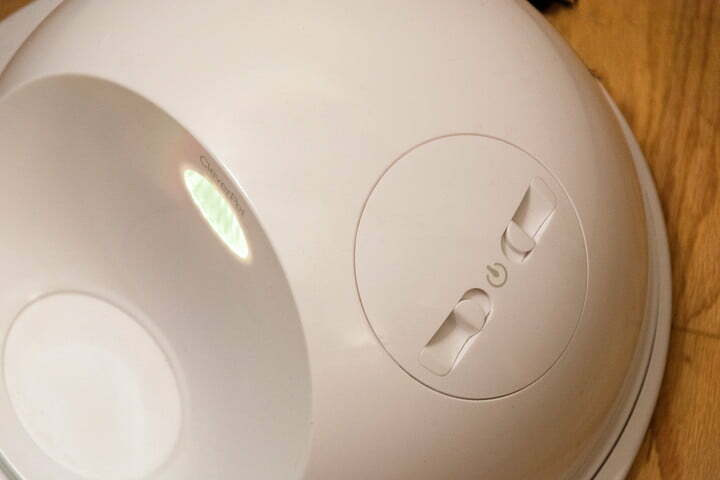 The central dome has an opening indent on the front where a food tray shifts out and back from the inside of the dome. CleverPet recommends not letting your dog see you while you’re checking out the CleverPet Hub and setting it up for the first time. It also recommends first introducing your dog to the new device when he or she is hungry. You also don’t want to simply plug in the CleverPet the moment you get it, because it will start the connection process, whether you’re ready or not. The first step is checking the silicon seal on a food hatch to be sure it’s secure. Next, you open the dome latch and remove the food pod. Fill the pod with up to 2.5 cups of dry food or treats, which should be no bigger than the size of a dime (17 milimeters). Wet or crumbly food won’t work, because it will get gummed up in the works and will be a pain to clean up. You can remove the food tray and stainless steel dish if you wish and wash them with soap and warm water. Reassemble the hub with the food pod, the food tray, and food dish and follow the directions to attach the hub end of the power adapter. But don’t plug it into the wall yet. At this point you are about to hand control over to the CleverPet Hub software. We were impressed by how smoothly the operation went. First, you download and launch the CleverPet app for iOS or Android. The app instructs when to plug in the Hub and then walks through connecting to your Wi-Fi. Once you’re connected, the app helps you find a good spot to place the Hub. It won’t move, or not much, because of non-slip rubber feet, but it’s best to put it against a wall or even in a corner if possible. 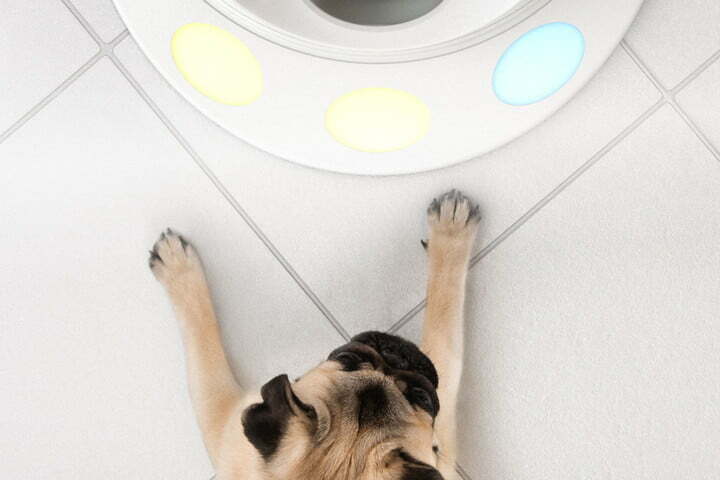 Now you’re ready to introduce your pet to the CleverPet Hub. There are several stages dogs go through with CleverPet. First, they have to get comfortable with its presence, including the sounds it makes and the sight of colored lights showing up seemingly randomly under the three touch pads. The food tray slides into view mysteriously, with a few pieces of dog food or treats contained within. The tray slides back after a short period, whether or not your dog takes the food. So this is all strange and different for your dog. The plan, when everything goes to plan, is for your dog to start taking the food and start curiously touching the pads. If indeed the dog takes the food, this is noted by the app, and you get feedback as your dog advances. At first, any touchpad will release food, then only the lit one. Eventually, the touchpad becomes a bit like the old game Simon – your dog has to touch a sequence of lit pads in the correct order to get a treat. It’s based on training via positive reinforcement; when your dog does something correct, he or she gets a treat, but nothing happens if he or she makes a mistake. It’s imperative to have patience. When we spoke with Leo Trottier, the CleverPet CEO, he said it can take hours, days, or even weeks before dogs warm up to CleverPet and start regularly taking food. The company measures your pet’s progress through a series of gradually more complex challenges and adapts to your dog’s responses and reports all specific engagements on the smartphone app. The challenges — in order — are getting the dog to eat the food, explore the touchpads, engage consistently but avoid unlit touchpads, learn the lights, and respond quickly. And that’s just the introductory series. Once your dog has acclimated to the CleverPet Hub, the challenges get more complex, at the same time engaging your dog and making her or him work harder for treats. Unfortunately, we did not get past stage one. Our dog — a four-year-old, submissive, double doodle female, is the epitome of a laid back dog. She also is almost never home alone, so she doesn’t get lonely. She’s also not food-motivated. She often leaves a filled food dish until late afternoon before eating anything all day. It turns out our home-office/lab dog was not at all an ideal subject for testing the CleverPet Hub. We spoke with representatives from CleverPet and got more input from Trottier, but even with particularly succulent treats in the tray, not much changed. Our dog would notice when the tray came out and maybe once a day help herself to the treats. She wasn’t bothered by the Hub but also showed no interest. We kept trying but had some pushback from other people in the house because the tray makes what can be an annoying mechanical winding noise when it moves in and out of sight. The noise is similar to that made by automatic paper towel dispensers. When we spoke with the company they said the CleverPet design concept was it would be used when no one was home, so the noise wouldn’t be an issue. We also found that the food tray’s movement could sometimes be blocked by stray pieces of kibble. So we kept trying for a several weeks. We turned the device on during the few periods of several hours each week when no one was home and our dog was most likely to be bored and inquisitive. Not much happened. So our dog wasn’t an ideal test subject. Apparently ours is not the only uninterested dog, as the company now offers a 30-day engagement guarantee refund. On the other hand, we saw on the website a growing community of other owners who submit videos of their dogs fully engaged working with the hub. If we had a dog that was food-motivated and home alone all day — especially if she or he was of a generally inquisitive nature — we’d definitely want to give it a try. CleverPet guarantees against defects in material and workmanship for one year from the original date of purchase, and it can repair or replace defective parts with new or refurbished parts. CleverPet also has a 30-day engagement guarantee. If your pet does not engage with the Hub in that timeframe, you can return it for a full refund, minus taxes and shipping costs. See the CleverPet Engagement Guarantee for details. 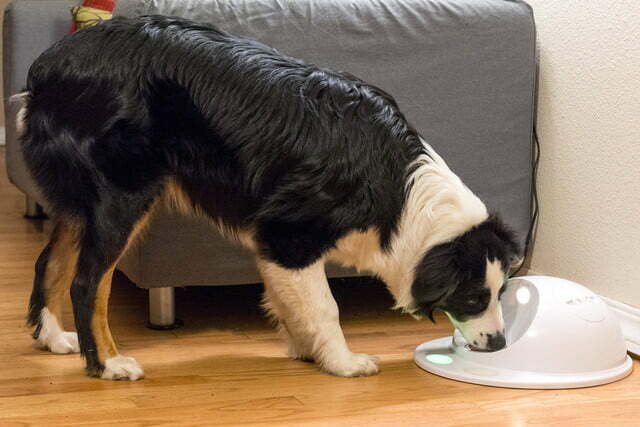 CleverPet is a unique product capable of engaging and mentally challenging lonely, food-motivated dogs. There is no evidence that CleverPet makes pets more intelligent or that mastering the successively complex tasks required to keep earning food rewards transfers to other activities in a dog’s life. If your dog isn’t home alone or food motivated, it may not engage with the $300 device, in which case the 30-day engagement guarantee lest you recover the cost other than shipping and taxes. We couldn’t find anything else on the market that operates autonomously to engage and reward dogs for learning successively complex tasks. There are other training products but they require human presence. Automatic feeders don’t present food conditionally, but on schedule, so they don’t fit. 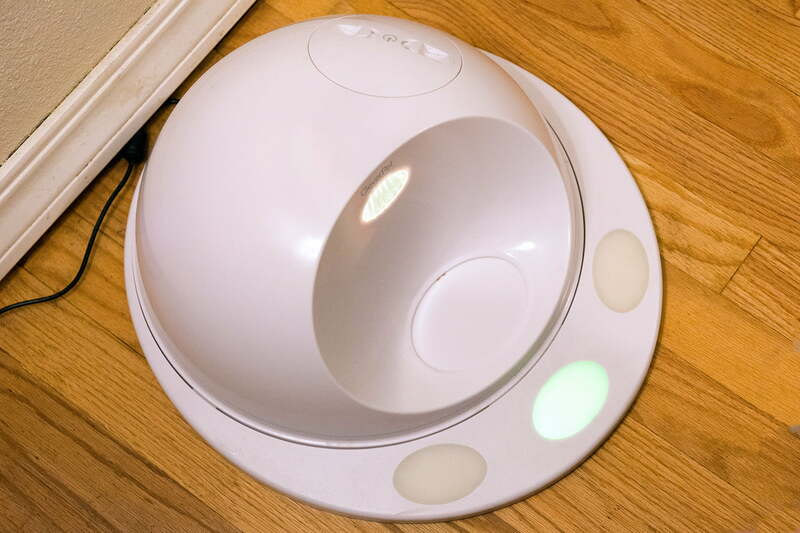 From all appearances, the CleverPet will last for years. The sturdy components should hold up under continuous use. The smartphone app updates automatically, and the company says it’s currently working on new challenges and games. If your dog becomes a master at tapping a series of pads, eventually it won’t get much stimulation from the CleverPet, so hopefully the games are updated regularly. That said, if CleverPet should stop releasing updates, you could find yourself with a big $300 piece of plastic. Buy the CleverPet if your dog is home alone for extended periods of time and is active, curious, and motivated by food or treats. Don’t buy it for dogs that are seldom alone, aren’t food motivated, and are content to sleep most of the time.